Mats Granryd said the Pacific Islands had a huge amount of activities to breed from. GSMA director general, Mats Granryd. People in the Pacific Islands need new technology on mobile operations and telecommunications so they can move forward and be part of the digital future. 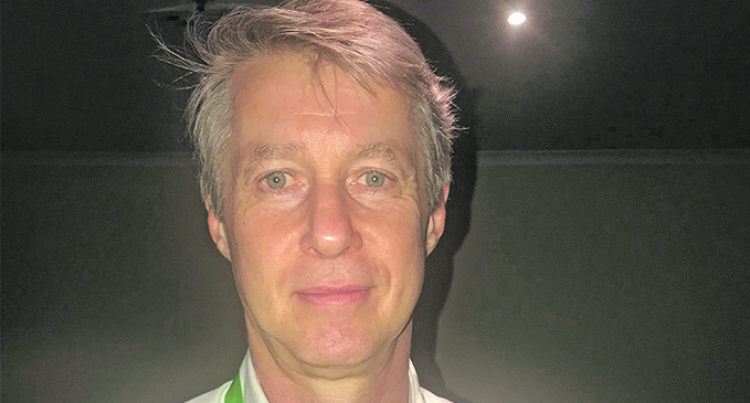 GSMA ( Group Speciale Mobile) Association director general, Mats Granryd said the Pacific Islands had a huge amount of activities to breed from. “Today you can see the penetration of mobile activities and the number of people having smart phone and mobile phones,” he said. He said there was also a need to look at what type of regulation that was needed to put in place to make sure that mobile operators were successful in their business. Mr Granryd said: “GSMA represents the interests of mobile operators worldwide, uniting more than 750 operators with almost 400 companies in the broader mobile ecosystem. “These includes handset and device makers, software companies, equipment providers and internet companies, as well as organisations in adjacent industry sectors. “PITA meet once a year and is a great platform to try to gather all the mobile operations and telecommunications connectivity from Pacific Islands. The Pacific Islands have the lowest mobile Internet penetration rate in the world at 18 per cent, the conference heard. But the mobile operators trade body, GSM Association, says the region has great potential and is on the cusp of a digital revolution, IT Wire reported. The GSMA’s report, The Mobile Economy Pacific Islands 2019, presented at the Pacific Islands Telecommunications Association 23rd AGM and annual conference, said that the islands would embark on a digital revolution with the aid of mobile technology. The report said, however, that this depended on co-operation between governments in the region and mobile players. “This is an exciting time for the Pacific Islands as it stands on the cusp of a digital revolution and mobile technology will play a pivotal role in this transformation. “Also in providing access to life enhancing services such as health and education and acting as a catalyst for innovation and economic growth,” said Mr Granryd.